What is involved in running a pub in Canada? Breaking up bar fights, competing with restaurant sales and staying afloat amidst Canada’s ever-rising beer tax hikes are all challenges landlords face in order to run a successful pub. The location of your business will affect the demographic of punters your pub will attract. If you’re based on Queen street, Toronto you’ll most-likely be appealing to city-slickers, tourists or a younger crowd; whereas if your business is nestled in Ontario’s secluded countryside, then you’ll probably be serving locals and older patrons. The key to running a successful pub is having a clear idea of who your customers are so you can create a fitting environment and offer a service that appeals to your market. Locals and regulars are prone to ordering standard lagers, whereas tourists may be keen to try unusual craft IPAs produced by local microbreweries. Trying to be everything for everyone can result in spreading yourself too thin and therefore be counter effective and impair your business in the long run. Carving out a niche service or USP, such as running a brewery pub or live music venue, will help your business stand out from the other pubs in the area, and also help you – the owner – have a clear understanding of who your customers are. Canadians are choosing to drink at restaurants or at home more than ever before, which is a challenge for many pub owners trying to make themselves attractive in the industry. 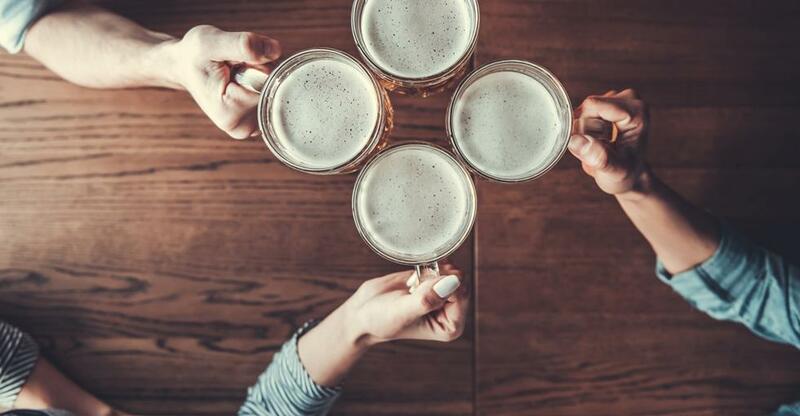 Rising alcohol prices have negatively impacted pubs, along with motorists taking a more cautious stance on driving over the limit. Canadian beer drinkers are the highest taxed beer drinkers in the world; April’s tax hike on local and imported beer means provincial and federal taxes in Canada are five times higher, and average more than $20 per case. Since 2010, Canadian provinces have passed 45 individual beer tax increases, compared to the US, which has only enacted five in that time. Overall, Canada’s commodity taxes on beer have increased by 26%. Dealing with drunk patrons, preventing bar brawls and being responsible for your staff and customers safety is essential, which means you need to have a watchful eye and sober head at all times. Many landlords face the on-going challenge of managing boisterous customers and trying to promote responsible drinking while also encouraging patrons to spend at the bar. You need to be social and have impeccable customer service skills to run a profitable pub. If you’re a local, neighbourhood boozer, building good relationships with your regulars is essential. Creating a dynamic, social environment will ensure your customers keep coming back to your bar. You should encourage a productive, fun work environment for your staff too as this will also create a friendly atmosphere for your customers and encourage repeat custom. A business owner should also have good employee management skills and the ability to delegate tasks efficiently. Trying to take on menial tasks will leave you less time to focus on the more important aspects of business ownership, such as bookkeeping, supplier relations and marketing. You should also have good accounting skills in order to monitor where your business may be losing money, and what you need to do to keep your expenses in check and your profit margins healthy. A publican should be passionate about the industry they work in; staying ahead of the curve with industry updates, new products and changes in legislation will ensure your business runs smoothly and remains competitive against any new pubs that open in the area. Don’t be reluctant to change. Evolving your business is necessary in today’s progressive entrepreneurial world – especially in the hospitality industry. Whether you decide to invest in new payment technology or you’re renovating the interior of your pub, you should embrace change, so your business doesn’t stagnate. However, make sure you don’t disgruntle and alienate your current clientele in the process. Although owning and running a pub may sound exciting and fun, don’t underestimate the hard work, long hours and high pressure involved in making it successful. You will need a strong and trusted management team in place to ensure everything runs smoothly when you’re away from the business. You should also expect to work late, long hours and weekend shifts which can make this an unsociable industry to be in if you have family commitments. Owning a pub is often filed under being a dream job. There are many ways for budding publicans to carve out a successful business in the pub industry.